Tree lopping is among the less appealing tree maintenance activities we conduct. By way of saving trees, it is truly a ‘last ditch effort’. Whether you believe it or not, this occurs more often than most of our clients would want. As arborists, we always stress the importance of regular tree maintenance and care, as it is the best way to avoid finding yourself with a lopped tree as the only option. But, there are instances when people just cannot monitor the growth of these plants, causing them to stray from their intended space and pose threats to nearby structures and their occupants. Tree lopping is not a pretty job, but we always have a good reason for doing it. Whenever we prune a tree, we always consider the future repercussions of every single cut we make. Our clients should know that those fallen branches are not the end of the story. The tree will continue to grow, and whatever modification we did will affect how this development would go along. Tree lopping reduces the possible damage from an unmaintained tree, but if it remains unmaintained, the same risks will eventually pop back up again. So, is tree lopping a short-term solution? Speaking in ‘tree’ terms, yes. Trees play the long game—the effects of cutting off some of their hazardous branches will last for a negligible amount of time in contrast to the plant’s full life span. Tree lopping allows owners to re-evaluate their approach to the growth of said tree, without risking a branch or two falling on their heads. Tree lopping is for the now. Again, tree maintenance is for the future. If a problem tree is causing you worries, do not hesitate to reach out to us. 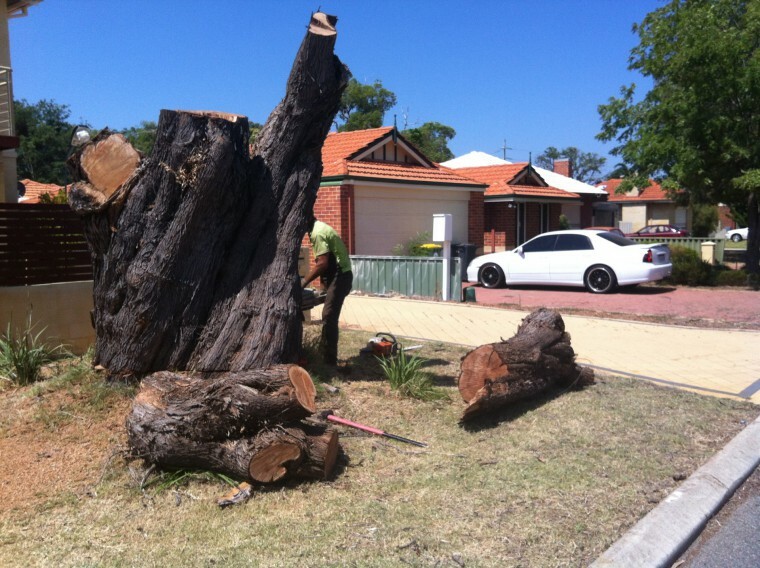 Tree lopping is very dangerous, and it gets its notoriety from instances of pruning done wrong. Only professionals like us here at Beaver Tree Services can do tree lopping safely, efficiently and effectively. Removing risky branches should never be a risky business. Contact us to learn more.